Stock Low : 104 items left. 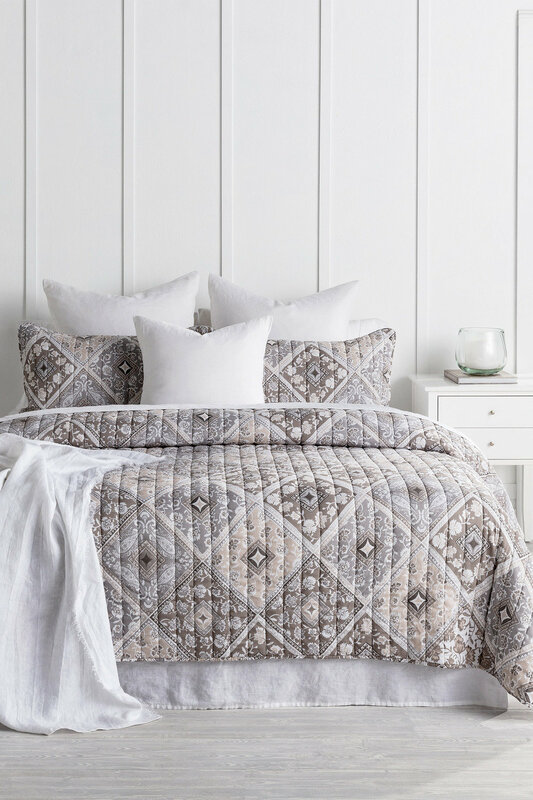 Add an element of sumptuous vintage charm to your home with the Mosaic Quilt Set, a timeless new design available in two versatile colours that suit a range of bedroom themes. It's crafted with a cotton outer and comfy polyester fill, making it fantastic for everyday use throughout summer and beyond thanks to durable and easy-care properties. We love this styled with white or navy blue accessories like the Hampton Linen Cushion and Fringe Linen Throw.